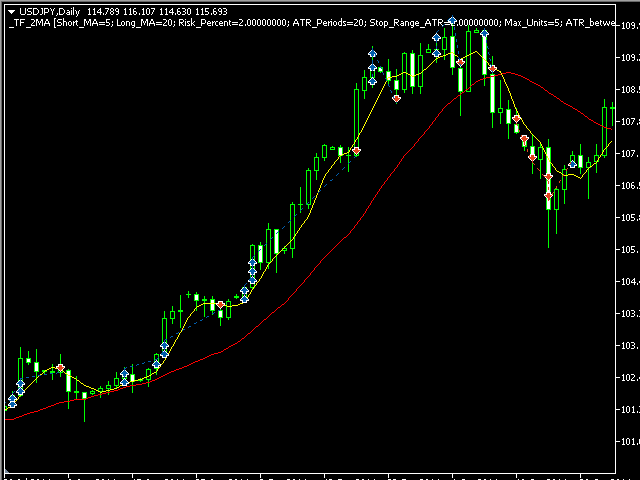 This is a 2 moving average system that is not in the market all the time. Entries occur in the direction of the MA cross when the price closes to the outside of the faster moving average. Positions exit when the price closes back on the inside of the faster moving average. Entry criteria checks the direction of the moving average cross, checks that the bar is completely outside of the fast moving average, and confirms that the previous bar's fast moving average has improved over the moving average of the bar before. 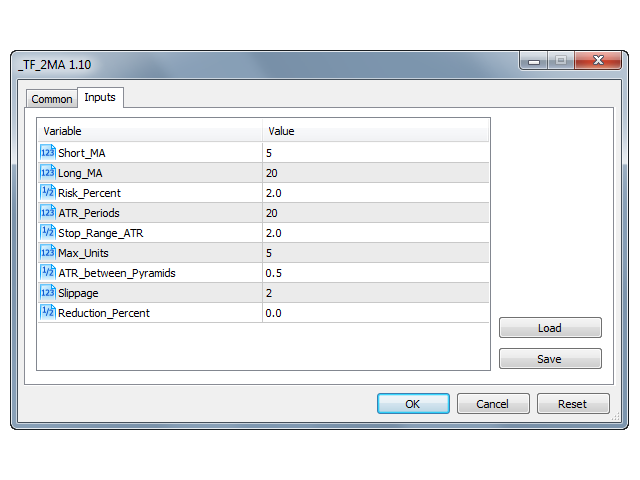 If you set the Max Unit variable above 1, additional entries will occur and pyramid in ATR increments specified by the ATR between Pyramids variable. This expert advisor closes its positions when the price closes back inside the fast moving average to the side of the slower moving average. Short_MA—The number of bars used to create the faster moving (less bars) simple moving average. Long_MA—The number of bars used to create the slower moving (more bars) simple moving average.